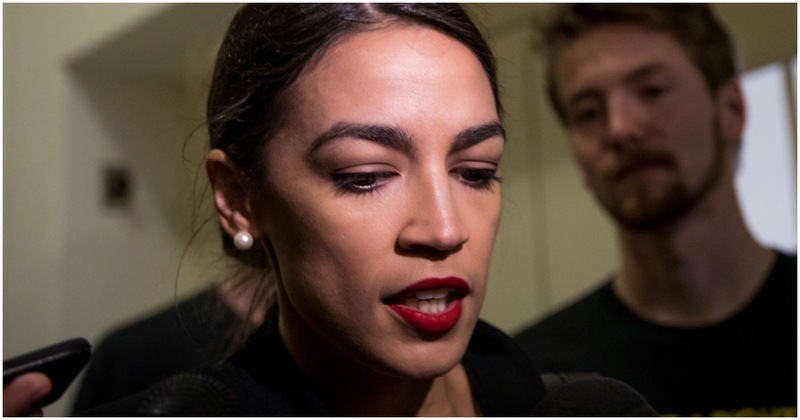 Self-described Democrat Socialist Rep. Alexandria Ocasio-Cortez (NY) said something pretty awful about ICE. Remember the woman from the Mexican restaurant who took a man’s MAGA hat off of his head? She said she was the victim. Now, she just got some pretty bad news. FALMOUTH (CBS) – The woman who was charged with confronting a man wearing a “Make America Great Again” hat inside a Falmouth Mexican restaurant was taken into custody by ICE. The department said she was in the country illegally. A woman who ripped off a man’s “Make America Great Again” hat at a Mexican restaurant says she wanted retribution for years of discrimination. On Feb. 15th, Bryton Turner was eating at Casa Vallarta Mexican Restaurant in Falmouth, Mass., when a Brazilian woman, not being named by police, snatched off his red MAGA hat.